We’d love your help. 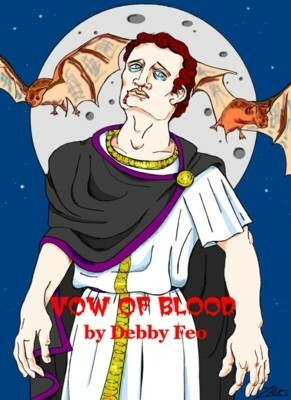 Let us know what’s wrong with this preview of Vow of Blood by Debby Feo. Gaius Domitius Tubero was born a vampire, in the year 41 A.D., a few weeks before Caligula was assassinated. His father left him for dead in the dangerous streets of Rome. This is the story of how he survived. To ask other readers questions about Vow of Blood, please sign up. I Love this book its so well written,the history is amazing if you love vampires and others this book is up your street,I can't wait for the next book, you really need to read this Debby is a author I'm sure you will find you will hear lots from in the future. This is the first book in my five-book, historical, vampire series. Book #3 "Trail of Blood" was just released. Awesome story. I love books about Vampires and this one I enjoyed immensely. It's an unusual story and I recommend this book and author.